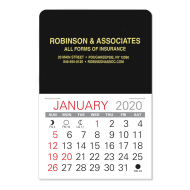 These custom imprinted stick-on calendars promise a year's worth of promotional impressions for your insurance agency. 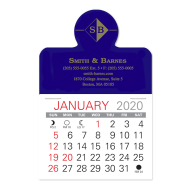 These everyday promotional giveaways are a convenient and direct-mail-friendly way to get your brand in front of your clients and prospects. 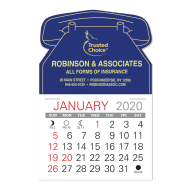 With their unique designs, stick-on calendars with custom imprints are a smart and affordable way to give your brand, and your agency, the exposure it needs. 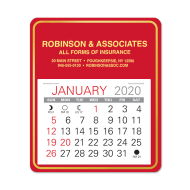 They are extremely easy to distribute and have become a must-have in any workspace. They are a favorite among insurance agencies looking to solidify their brands and expand their business posibilities.